There are few neighborhoods in Omaha dating back to the Gilded Age and the pioneer era before it. However, one sits plainly in the middle of these early times, and demands the attention of any student of North Omaha history. It’s called Collier Place. Tucked among other notable historical neighborhoods like Monmouth Park, Boyd’s Addition, Saratoga and Druid Hill, Omaha’s Collier Place was a draw. It sits between North 30th and North 33rd Streets, from Ames Avenue to Sorensen Parkway. Today, the area is dominated by the shopping area at North 30th and Ames, including Phils and Burger King, along with the US Post Office. However, there was a time when this was a beehive of homes mixed with businesses, and everything was lovely. Here’s some of the local history. This is a cutaway from an 1880 atlas map of the area around North 30th and Ames in North Omaha. Collier Place is visible to the northwest of 30th and Ames. The Collier Place neighborhood history extends back to 1854, and the controversial Scriptown plat in North Omaha. In this land grab by Nebraska Territory legislators, early investors in Omaha City tried buying off supporters with land. David L. Collier was a lawyer from Burt County who served in the early legislature. He was awarded land in Scriptown, and started a farm there. This is a map of the Collier Place neighborhood, bordered by N 30th and N 33rd, Ames and Grand. Starting at the same time, settlers road the county road (eventually Ames Avenue) from Saratoga toward the town of West Saratoga at North 42nd and Grand. 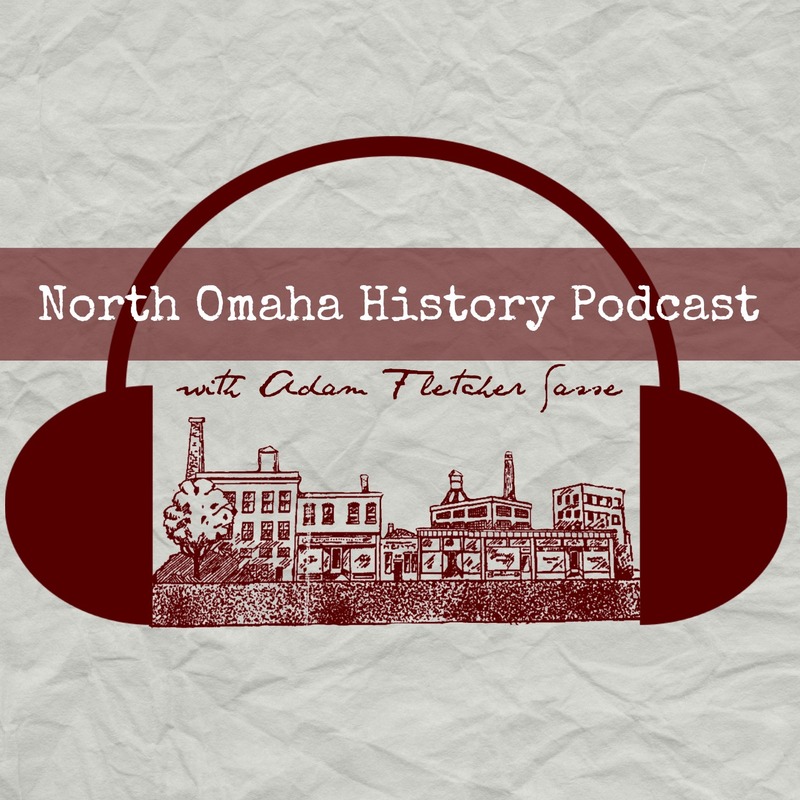 During this era, North 30th Street was a county road too, extending from west Omaha (that’s what 30th and Dodge was from 1854-1870) to the City of Florence (which lasted from 1854-1917). Ames Avenue was an extension of Commercial Avenue, and went westward to North 42nd Street. Collier platted his land for development as early as 1865, but the lots didn’t begin selling in earnest until the 1880s. Originally advertised in 1882, the Collier Place addition was sold by William McCague, an early Omaha real estate agent. His ads in the newspapers freely promoted the neighborhood’s proximity to the Belt Line Railway; the old town of West Saratoga, by then called the Central Park neighborhood, and the growing behemoth neighborhood just to the west called Monmouth Park, including its school and growing population. The early ads also bragged neighboring factories like Miller and Gunderson Planing Mill; the Omaha Casket Company, and; the New Chair Factory. There were sidewalks and fine drives from downtown Omaha, and surely people wanted to buy into Collier Place! However, in the early 1890s there were legal disputes among the Collier family after their father died. After the neighborhood was taken off the market for more than 15 years, 175 lots in the Collier Place neighborhood were platted for sale in 1907. Within a year a company called Hastings and Hayden had sold most of them. Today, a review of the Douglas County Assessor’s Office records shows most of the homes remaining in the neighborhood were built between 1907 and 1920. This is the Gatchell Apartment 3025 Meredith Avenue in the Collier Place neighborhood. They were built in 1960. One exception was the Gatchell Apartments, also called the Meredith Apartments. In 1960, the Gatchell Apartments were built at 3025 Meredith Avenue. A late entry into the neighborhood’s development, they represented a last build for about 25 years. In the next years after though, many of the neighboring businesses were closed, the telephone exchange became obsolete and was closed, and the entire culture of the area changed. Businesses flocked to the neighborhood, and the intersection of North 30th and Ames Avenue quickly sprang to life to become a commercial and light industrial powerhouse for all of North O. However, that wasn’t the only commercial life in Collier Place. Another highlight became North 30th Street beyond Meredith. Eventually, north of Meredith the Kenwood Telephone Exchange Building was constructed, along with the Kippig Grocery building on the northwest corner of North 30th and Fowler, and the Nebraska Public Power Company Building at North 30th and Sorenson Parkway. This picture was taken from the southwest corner of 30th and Ames looking west on Ames. You can see the Safeway, which is now Phil’s Foodway; the Hudson gas station, which is gone; and Kimball Laundry and Dry Cleaning, which is now a cell phone store. Note the Hudson Gas Station next to the present-day Burger King. Ames Avenue has been a vibrant commercial strip for more than 125 years! Following are details on some of the businesses along Ames Avenue in the Collier Place neighborhood. There were Safeway stores at 30th and Ames starting in 1918. In 1961, the company built a major store at 3030 Ames Avenue, and ran it through 1982. That year, Safeway sold the store and it became Phil’s Foodway. Today, its called Phil’s Cashsaver and its owned by the Bucky’s corporation. Also in the Collier Place are Burger King, Dragon 88, and a few boutique stores. The L. Bercutt and Company grocery store was located at 3190 Ames Avenue in this 1912 ad. The Douglas County Assessor’s Office says the building at 3190 Ames Ave. was built in 1930, but it looks older and that office gets things wrong, so I wouldn’t be surprised if it was older. There’s definitely been a building there since the 1910s. In 1912 a grocery store was there; it went out of business in 1918. It was a grocery store again after that, but that went out of business in 1932. Kenwood Storage and Van Company was started at that address that year. That business held a lot of auctions there, until 1935 when they auctioned all of their equipment there! Kenwood Auctions was operating there in 1936, and closed in 1940. The Ames Ave Auction Company operated there for a few months. That same year, the Justman Brush Company opened at 3190 Ames, and operated a small brush-making factory there. The founder of the business was Alex Justman. Justman started making brushes in 1930 in his home basement. The factory at 3190 Ames Avenue had 15 employees when he died in 1971. They often advertised job openings for “girls” age 18-35. In the late 1950s and early 60s, their advertisements specifically said “WHITE girls.” The company closed when Justman died, and the building went up for lease/sale. By 1978, the New Hope Deliverance Church was located there. I can’t find exactly when The Faith Church moved in, but its still there! A new United States Post Office was built at 3030 Meredith Avenue in the Collier Place neighborhood in 1971. Built on top of dozens of former housing lots, they were demolished in the name of the “slum clearance” movement that swept North Omaha from the 1950s through 1990s. The post office was rebuilt in 1990, and in 2000, the US Congress re-designated the post office as the Reverend J.C. Wade Post Office. The late Rev. Wade was the highly influential minister of North Omaha’s Salem Baptist Church from 1944 to 1988, as well as a civil rights and cultural leader for the entire community. Collier Place wasn’t built to be a fancy, pretentious or otherwise snobby place. Instead, it was built as normal houses in a normal neighborhood, conveniently located in a fine neighborhood in North Omaha. As white flight swept North Omaha, longtime white residents fled from neighborhoods like Collier Place. Not wanting to live next door to African Americans, almost all white families left this neighborhood between 1975 and 1985. Whites moved west of North 72nd Street, while African Americans were isolated in low-income rental houses that were routinely neglected by absentee landlords. This is 3155 Meredith Avenue, for sale by the Omaha Municipal Land Bank in 2017. This trend continues today. Despite its proximity to Metro Community College at Fort Omaha; North High; the Sorenson Parkway, and; an emerging renaissance at 30th and Ames, housing values in Collier Places are disproportionately dismal today. However, there are a few bright lights. One is being shown brightly by the Omaha Municipal Land Bank, who is investing in homes in the area, and encouraging new home ownership that will do the same. The home at 3155 Meredith Avenue is one example. Collier Place continues changing today. Recent developments in the 30th and Ames Historic Commercial District have been positive, and people are increasingly seeing the historical relevance of the area. Perhaps the homes in the neighborhood will be honored with restoration and preservation, too. J. H. Kuppig operated a grocery store on the corner of N 30th and Fowler for 30 years! The ghost sign on the north side of 4702 N. 30th Street is evidence today of a once-vibrant business. Whether it was the Monmouth Park Pharmacy (1908-1933) or the Ames Avenue Food Shoppe (1933-1970) or the Variety Sweet Shop (1970-1982), this storefront at 3194 Ames Avenue has seen the rise and fall of the Collier Place neighborhood.